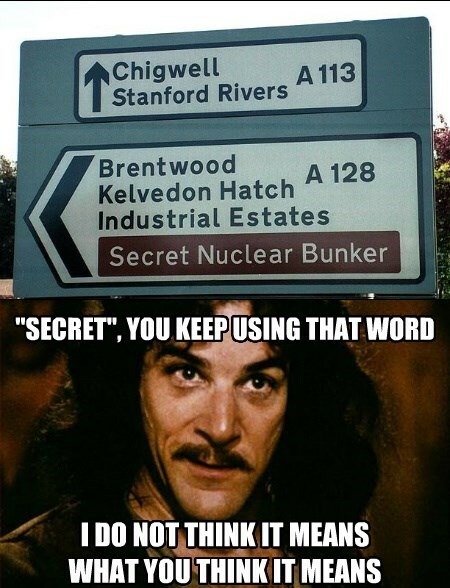 Did no one think maybe it wasn't a good idea to point the way to the secret nuclear bunker? Actually, that's a tourist attraction in Essex. FYI, brown road signs usually indicate a tourist attraction in the UK.